It was raining and cold so I put on my best teenager outfit and said 'Whatever' to the weather! I have never worn Converse style trainers before. I must confess, I don't really like them but this blog has encouraged me to be brave about my style and try lots of different looks. But no way was I forking out for a real pair! I found these in Dunnes Stores for £8.50...and don't they look authentic? It means that if, after wearing a few times, I just cannot warm to the look, I'll not have broken the bank. The best thing to do in Belfast on a rainy day, is go to the Ulster Museum. And the best thing about the Ulster Museum is it's free! So we drove there, had a picnic in the car to bide our time hoping the torrential rain would stop...(it didn't) and then ran for cover. And then I posed a bit at some of the modern art and we were told off by the lady (becoming a bit of a theme here) because there was a v small sign saying 'no photos'! I wore the same sweatshirt today as yesterday <blush>. In my defence, I had very little time to get ready. BUT I did accessorise a bit to change the look. Finally, yesterday was yet another day for wearing my trusty Merrell Wakefield which is proving to be a great year-round option <sigh>. But to cheer you up, I'm still giving away 2 Stella & Dot bracelets! Get you over to the competition and enter for your chance to win. Closes at the end of this week! Oh crikey - that's my look most days - delinquent teenager is what I call it. But it's very comfortable believe me. I've got exactly the same trainers as you - very pleased to see you wearing them! Like you I didn't want to fork out lots of money for the real things but these are great, I've got loads of wear out of mine. 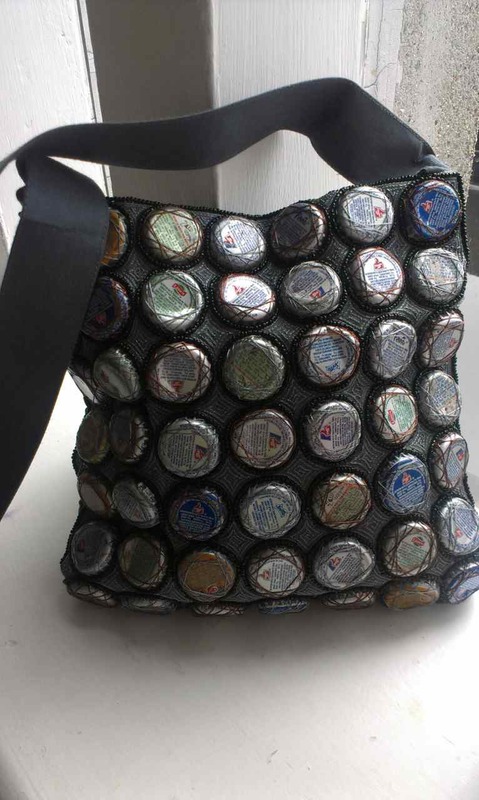 Your bag is amazing btw! 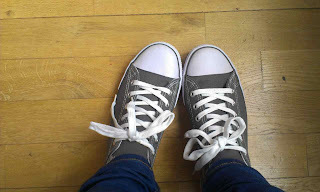 My comfy teenager like converses are from Ruby and Ed, back of one heel it says 'Ruby' and on the other it says 'Ed'. Light Purple colour, bought them on impulse when in Tetbury last April (Royal Wedding weekend) from a little boutique there, and they cost £32 but were definitely worth it. I wish I could wear converse but sadly they just wouldn't suit.I love your bag and the story behind it:) Hope you have a great week! I love my converse but those pupmps look great. Wish there was a Dunnes near me. FAB copy of the converse and at that price if you don't like them you won't be forced to wear them! I bought originals in the US 2 years ago, they sat unworn for a year and then recently I've started to wear them as everyone seems to look so good in them .. apart from me but I am learning to love them and I do want to wear them more and more BUT ... they are so uncomfortable! I can wear for a bit but never for a whole day shopping or day out walking with the children! Hope it's ok to cross reference here?